The SFX064D is a Sound Unit ONLY and is suitable for most HO locomotives (Steam or Diesel) and can fit in large N-Scale steam locomotive tenders. In addition the decoder has 4 function outputs. 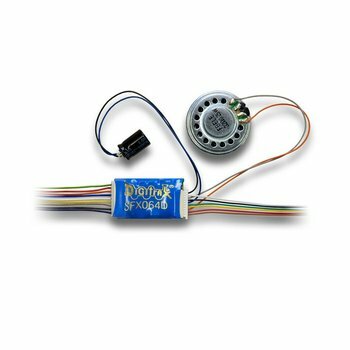 Included is a 1″ round speaker and a 330uf capacitor to eliminate minor power interuptions.